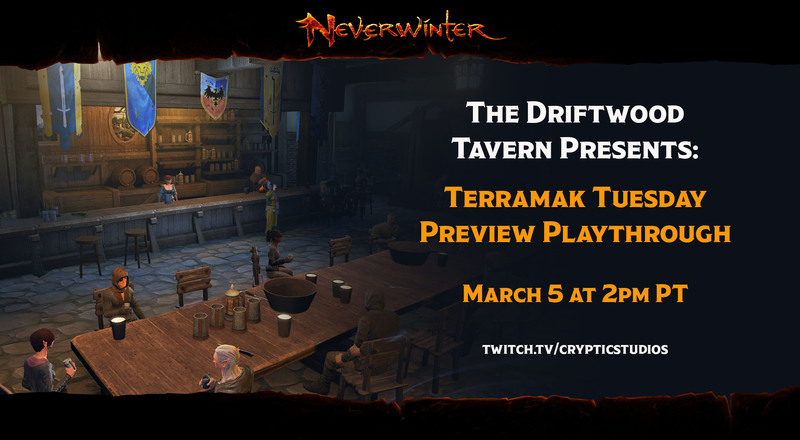 The Driftwood Tavern Presents...Terramak Tuesday: Preview Playthrough edition! Join us next Tuesday as Producer Vincent "Terramak" Malley navigates his way through the upcoming content on the Preview server! Why: Heigh-ho, heigh-ho, to Undermountain Preview we go!